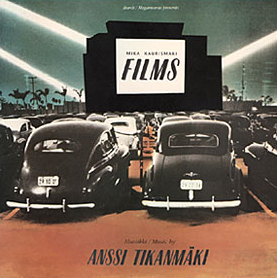 This disc is an anthology of music by Tikanmäki for the films "The Worthless", "The Clan", "Rosso", "Cha cha cha" and "Paper Star" directed by Mika Kaurismäki in the 1980s. It contains a selection of the main musical themes from the films, summarising their sound world, as it were. pieces of a length more suitable for the disc format. Among the items are Tikanmäki's legendary arrangement of Sibelius's "Finlandia" with which "The Worthless" begins, and the evergreen love song "Ballad" from "The Clan" in a fresh, matchless interpretation by Päivi Portaankorva. Signor Rosso (comp. M. Cucinotta). Ballad of the Clan lyrics by Juice Leskinen.